On first viewing, VQ is a bit of an enigma. It's got five branches around London serving standard pub grub, but the restaurant setting is far more intimate that your standard pub. Can this mix of styles work in its favour? We visited the Euston branch to find out. 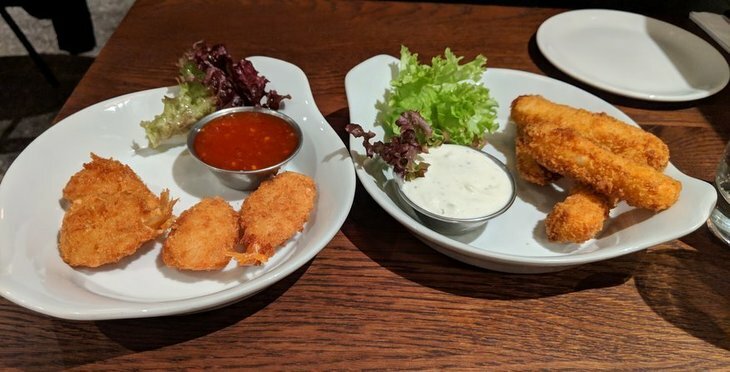 For starters we tuck into butterfly prawns and halloumi fries. They look pre-made but they hit the spot, even if we're not sold on Tzatziki being the right sauce for the halloumi fries. The starters are decent but it's what comes next that's the real treat. Mains is where things get serious and looking at our own, and other diner's helpings, there doesn't seem to be a light option. 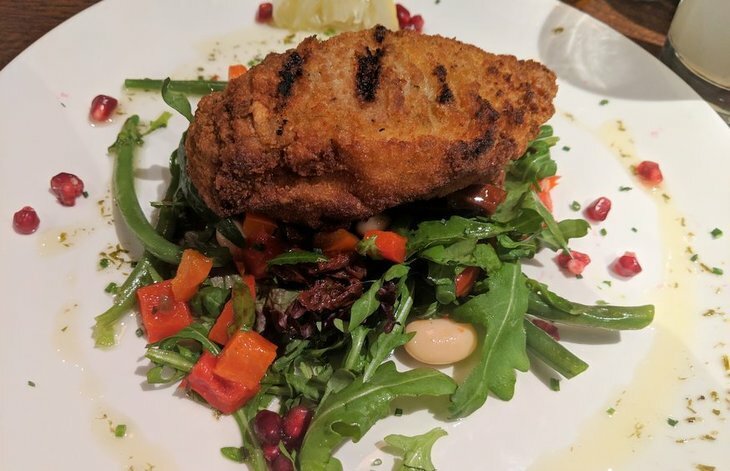 We try to take things easy with a chicken kiev. It's a hearty meal with a lovely accompanying bean and pomegranate salad. Our fellow diner opts for the baby back ribs and is happy with the generous application of sauce and how easily the tender meat slides off the bone. Dessert doesn't skimp on size either. 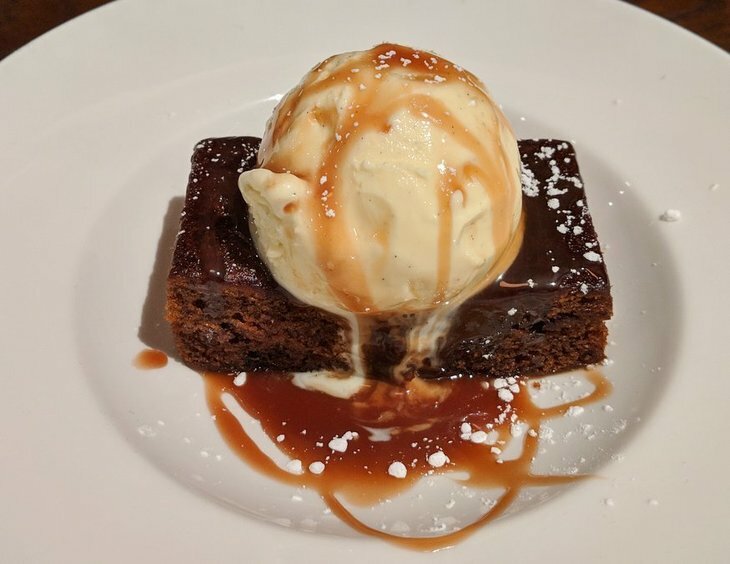 The sticky toffee pudding is a delicious and generously sized slab of richness. The apple crumble is a tad too sweet for our liking but it deserves a prize based on size alone — picture a large cereal bowl filled to the brim with apple sauce under a generous layer of crumble, with custard on the side. A generous slab of sticky toffee pudding. 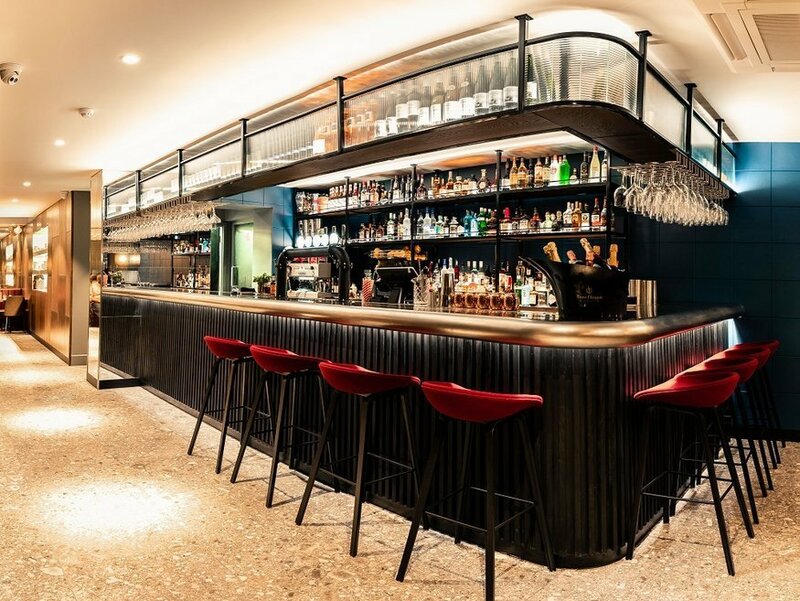 In London's crowded restaurant scene where hundreds of eateries are trying to be more inventive than the next, there's something reassuring about a place that does the basics well and delivers big on value for money. 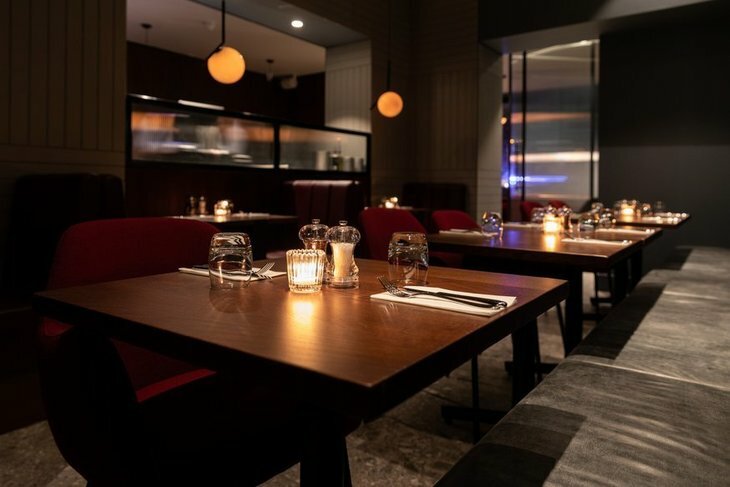 It's also a rare opportunity for a quiet catch-up over an evening meal, without the usual noisy atmosphere that often accompanies this type of menu. We can't close out our review without mentioning the extraordinary opening hours — this branch of VQ is open from 7am-2am seven days a week. Three of its sister branches are even more extreme and open 24 hours a day. As a further breach of normal dining etiquette, all branches serve breakfast at any time when it's open, so if you fancy a full English at midnight — VQ has it covered. VQ Euston, 152-156 North Gower Street, NW1 2LU is open seven days a week, 7am-2am. The meal in this review would cost approximately £45-50 for three courses for two, excluding drinks.